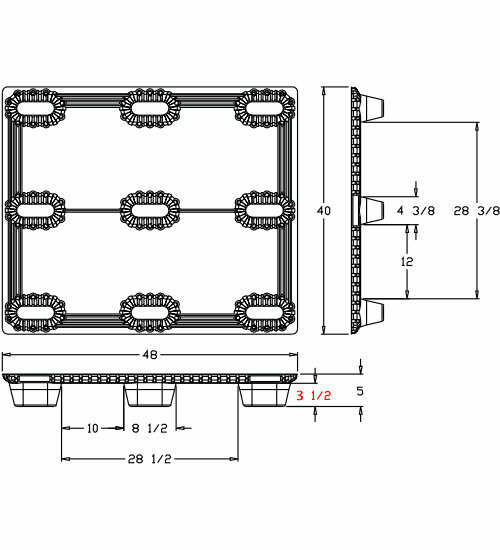 Please send me a price for the UP-4840-N-TDC1S 48x40 used plastic pallet. Also known as a GMA pallet the 48x40 dimensions of this pallet make it the most popular size of all industrial pallets in the US. Popularized by the Grocery Manufacturers Association the 48x40 dimensions of this pallet are standard in the US for most any use. The solid top deck of this plastic pallet keeps loose product from falling through plus the closed design works well with slip sheets. The evenly-spaced 9 feet on the UP-4840-N-TDC1S plastic pallet easily allow 4-way entry for forklifts and pallet jacks. The low profile nesting design of the UP-4840-N-TDC1S plastic pallet saves space when empty for lower storage return transport costs. Our used UP-4840-N-TDC1S plastic pallet offers the expected reliability and quality of long lasting plastic at used pallet prices. 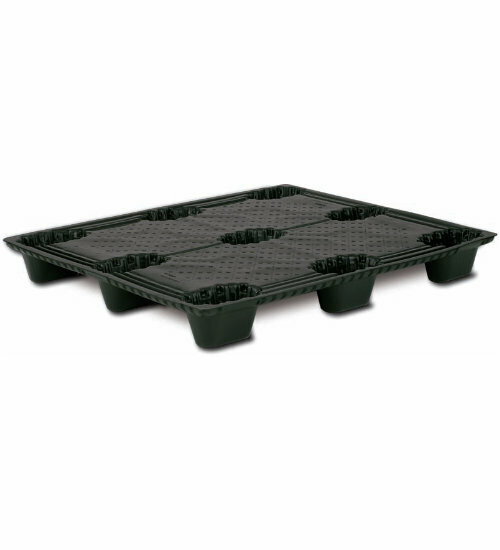 Plastic pallets like the UP-4840-N-TDC1S are lightweight and durable. Its uniform length and width provide ease of use and safety. One-way plastic pallets like the UP-4840-N-TDC1S let you send it and forget it making this a competitive alternative to pallet return options. Get more turns using the UP-4840-N-TDC1S multi-trip plastic pallet and easily win back startup costs with durable and reliable plastic. Use the UP-4840-N-TDC1S captive plastic pallet in closed loops to satisfy in-house reusability requirements with the reliability of plastic. Save costs when shipping cargo via air with the UP-4840-N-TDC1S air freight plastic pallet. Perfect for single use and one-way air shipment. Irregular pallets. Made .25" shorter than regular DC1. Never used (new condition) but stored outside for an extended period. Is the UP-4840-N-TDC1S the right pallet for you?